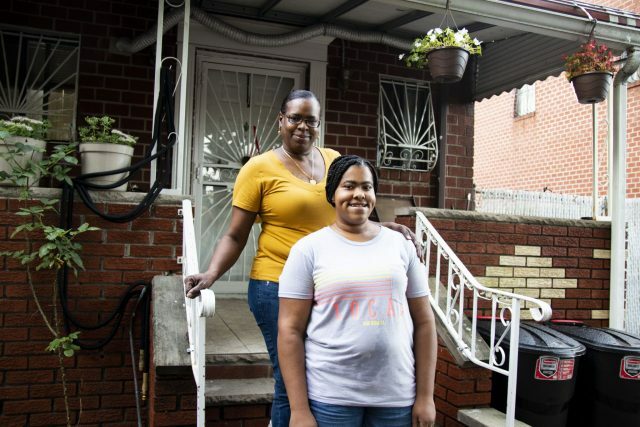 Marian Jefferson with her daughter Tamara, who participates in HeartShare’s Overnight Respite Program, which helps individuals with disabilities build independence and offer families a much-needed break. Tamara makes this point in observation of some of her peers who largely stay home. Protective parents are often afraid for their child to go out and explore programmatic opportunities on their own. Tamara, age 29, attends a day habilitation program at AHRC, weekend respite program with City Access and overnight respite with HeartShare. “I urge all parents and families living with children or adults with disabilities to please take advantage of these programs to allow them to grow. We, as parents, are responsible for allowing our children to lead healthy and happy lives,” said Tamara’s mom, Marian. Marian explains that the process of letting go can be difficult. “My child may be teased and face many other challenges I can’t prevent. However, not allowing Tamara to explore hinders her ability to lead an independent life,” Marian explained. Marian is a payroll professional working for a city agency. She’s a busy mother and grandmother of three. The overnight program, like HeartShare’s suite of respite options, offers a much-needed break to parents caring for their children with disabilities 24/7. “The process is hard, but it’s worth it,” said Marian. She was and continues to be a tireless advocate for Tamara, learning which services are available to her daughter and seeking to secure them. Meanwhile. Tamara worked towards greater independence with small steps, like learning how to navigate the complexities of NYC public transportation. Tamara Jefferson shares her adventures from her recent overnight respite trip with HeartShare, including indoor rock climbing in Delaware. With advocacy and hard work from this mother-daughter team, Tamara not only has a part-time job at Michael’s, but she also enjoys a full life with her family. 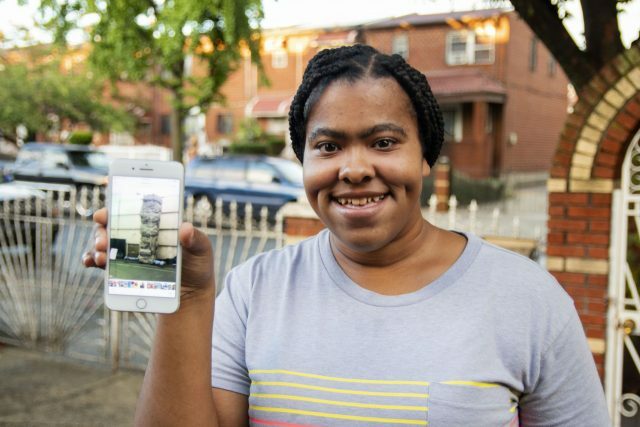 With HeartShare’s Overnight Respite Program, Tamara has traveled to Delaware and Pennsylvania, where she’s made friends and enjoyed many exciting summer activities. “We go swimming, visit amusement parks, and shop,” Tamara said. During her recent overnight trip with HeartShare this summer, Tamara braved indoor rock climbing. “Tamara has grown so much from the program. She is willing to take risks and tries so many new things. She also finds things for us to do when on trips, making great suggestions for recipes and places to eat and/or shop,” shared Kathleen Goeren, HeartShare Overnight Respite Group Leader. “Respite—these programs—offer my daughter independence. She has a life,” her mom said proudly. “I’m happy,” Tamara said with a smile. To learn more about HeartShare’s overnight respite program, call 718-422-4200.